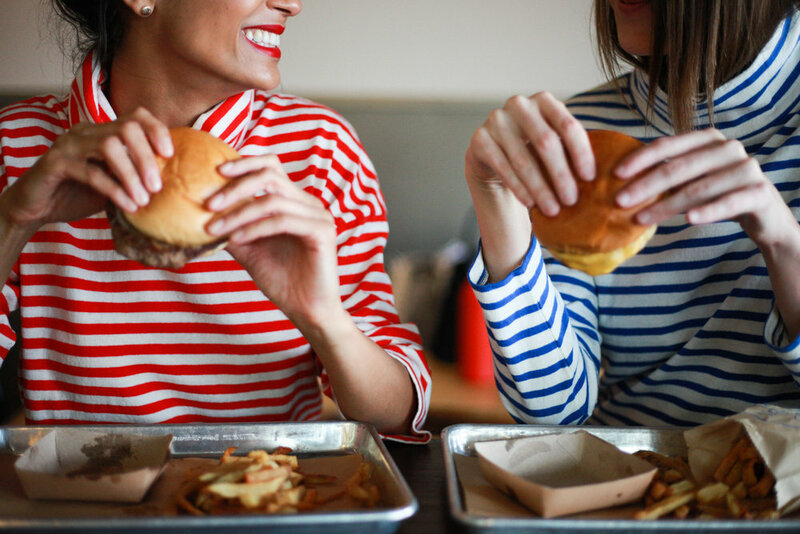 Although an unlikely pair, burgers and stripes go together like peas and carrots, yin and yang, Bonnie and Clyde, bread and butter. A burger is easily the answer when hunger calls for something savory and satisfying but also when you don't want to think. Stripes, in all its varied shapes and sizes, is well-suited for pretty much any day and every occasion. They shine on their own, but together they make life easier. Together, they make sense. The perfect stripe shirt, at its best, delivers the same functionality as a burger in its simplicity and reliability. The key is finding one with enough wiggle room so after you've eaten your burger you still look like an adult when all you really want to do is go home and take a nap. We're on a perpetual hunt for both. In New Orleans, there are many great burgers, but Company Burger's no-frills, affordable option takes the cake. 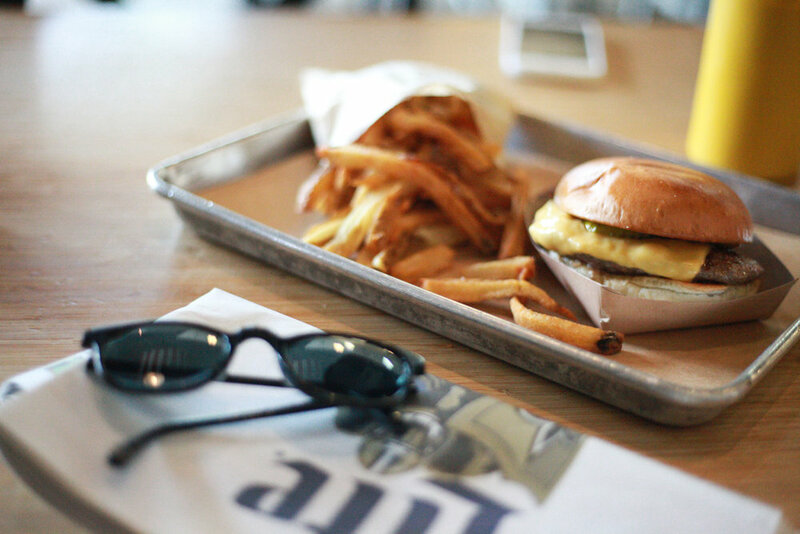 At Company Burger, simplicity is at the core of what makes their burgers insatiable. Pillowy buns buttered then toasted, heavily seasoned not-too-thick beef patties, and American cheese. Some days they're dressed with lettuce and tomatoes; other days they're best left as is. It doesn't get much simpler than that. After all, a good burger shouldn't be complicated.